Tree Smith’s self-titled debut is that of many layers. 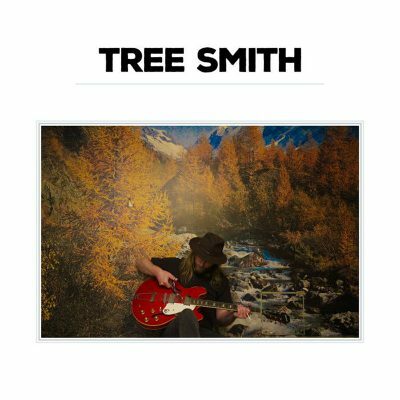 For a debut release, Tree Smith pleasantly surprises the listener with twists and turns down both brightly lit beachside roadways and haunting, overgrown, forested paths. The album draws influence from many contemporary indie artists, as well as the classics that made waves during the Summer of Love. Oftentimes, the LP weaves through surf-drenched psychedelic chords while mimicking the feel of the popular underground L.A. scene. It comes as no surprise that there is a track aptly titled “LA” on the album. It is the fifth song on the record, equipped with a mixture of Spanish and typical surf-rock guitar parts, lightly skimming on the surface of all that a great many L.A. bands stand for (like the Allah-Las.) The following track, “Levitate,” could even be confused for an Allah-Las song. The similarities are uncanny, but not troublesome. If anything, it firmly roots Tree Smith in the style and genre that he has carved out for himself with this new project. “Living For Today” ups the tempo while deepening the vocals––Think blues, country, psych Burger Records band The Abigails. “Egyptian Beach” adds an instrumental break amid the summery album. African-inspired drum beats slowly hush the song along, continuing the steady pace of the incredibly intoxicating debut. “I Hate Everyone” comes exploding with noise post the instrumental track. Tree Smith channels true ’60s revival on this song. The chorus is both repetitive and mesmerizing. It’s the simplicities in the track that allow for it to be a true standout on the LP although “I Hate Myself,” the last song on the self-titled release, is considerably similar.